Actor R. Lee Ermey, best known for his role as a tough drill instructor in "Full Metal Jacket" has died at age 74, his manager announced Sunday. 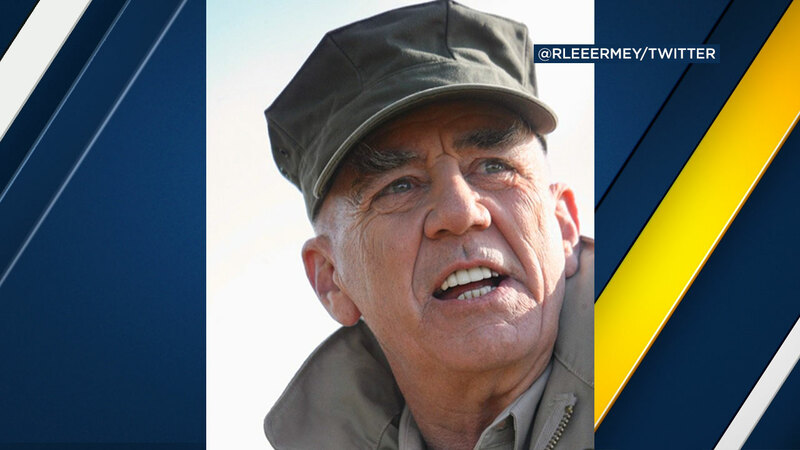 Ermey died Sunday morning from complications of pneumonia, according to manager Bill Rogin. "He will be greatly missed by all of us. Semper Fi, Gunny. Godspeed," Rogin wrote on Twitter. Ermey was a U.S. Marine Corps sergeant in real life and then rose to his greatest acting fame portraying Gunnery Sergeant Hartman in the Stanley Kubrick film. He was nominated for a Golden Globe for the memorable role, which featured oft-quoted lines like "What is your major malfunction." He made dozens of other appearances in film and television, a number of them in military roles. Among them were voicing Sarge in the "Toy Story" films and playing a helicopter pilot in "Apocalypse Now." Ermey also hosted documentary shows on the military including "Lock N' Load with R. Lee Ermey" on the History Channel and "GunnyTime" on the Outdoor Channel.